Wedding invitations are a lovely part of the nuptial process. 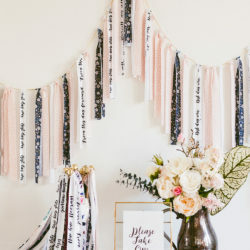 They’re a fun, informative, and intimate way to let your guests know that they matter and that you picked them to attend your big day. But, like most of our favorite marriage elements, they can sometimes come with quite the price tag! The good news is that making them yourself can be easy and fun (not to mention affordable)! 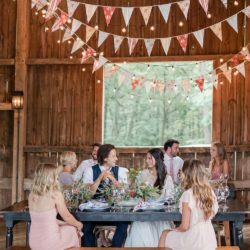 We’ve taken it upon ourselves to pull together our top 5 tips for creating DIY wedding invitations that will be easy on the eyes, not to mention your wallet! 1. 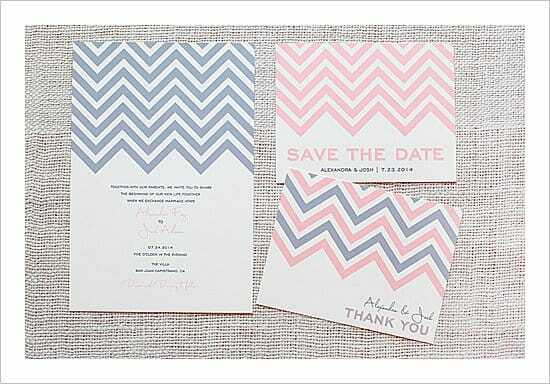 Printable Invitation Templates - One of the fastest, easiest ways to end up with stellar invitations is to use a template. Check out this vast selection of downloadable invitations, most of which are customizable, perfect for matching your wedding colors. 2. 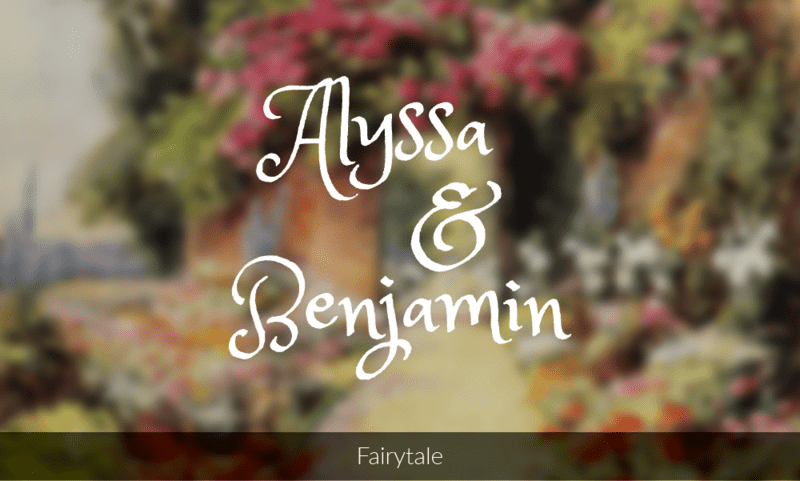 Free Wedding Fonts - Want to have more personalized invites? Grab one of these fonts and style your cards the way you want. Want even more customization? Check out our weekly Digital Downloads series for plenty of patterns and designs to lend some flair to your wedding. You can download and customize them to fit your color scheme or personal style. 3. Personalize with Photos – All that time you spend on Instagram finally comes in handy! 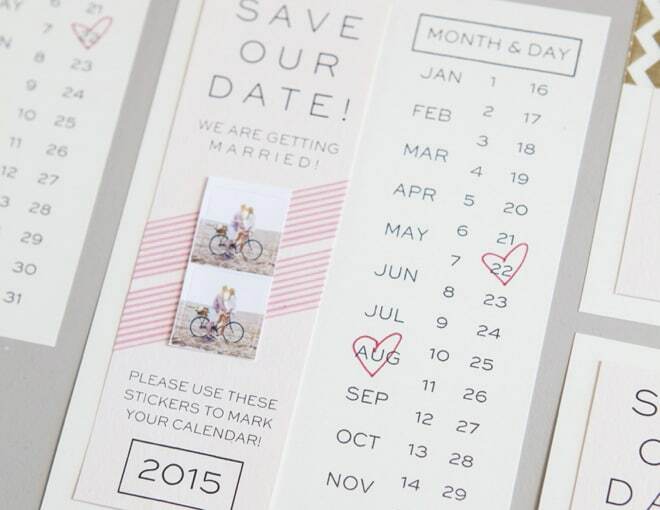 Using this great tutorial from SomethingTurquoise, transform Instagram photos of you and your sweetheart into stickers, and create DIY save the date announcements. While the project is a little time consuming, it won't break the bank, and the results are incredible! 4. 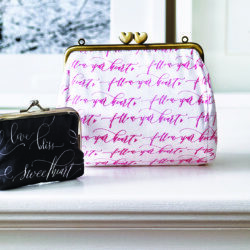 Print them in Style! 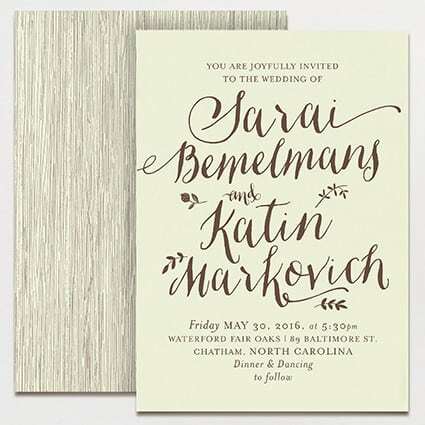 – Once you've got the perfect invitation, you have to print out copies for each of your guests. Your options are ample: By far the easiest option is local printing. FedEx Office locations are usually available in most areas, although you can use a service like InkerLinker to find awesome local printers who can handle more intricate or time-consuming processes like engraving and screen printing. You also get to play a more hands-on role in the creative process. Of course, we would be remiss not to mention ourselves! 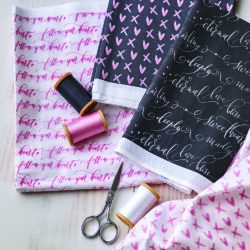 Upload your designs to Spoonflower for cost-efficient and unique fabric invitations. 5. RSVP Letters – RSVPs (which actually stands for "répondez s'il vous plaît" or "please respond") are not most people's idea of a good time. For the sender, they're an added expense, and for the receiver, often another envelope doomed to linger on the coffee table. However, you can help cut costs for this necessary expenditure by only mailing paper copies to guests who you know would love a physical version (family members who want it as a keepsake), or guests who don't have access to a computer. For your more tech-savvy guests, give them multiple ways to respond. Make it as easy as possible for everyone to reply in their own way (ideally, electronically, like with Paperless Post), keeping your costs and your stress down. I hope you found some thrifty ways to create dreamy wedding invitations without sinking your wedding dreams. 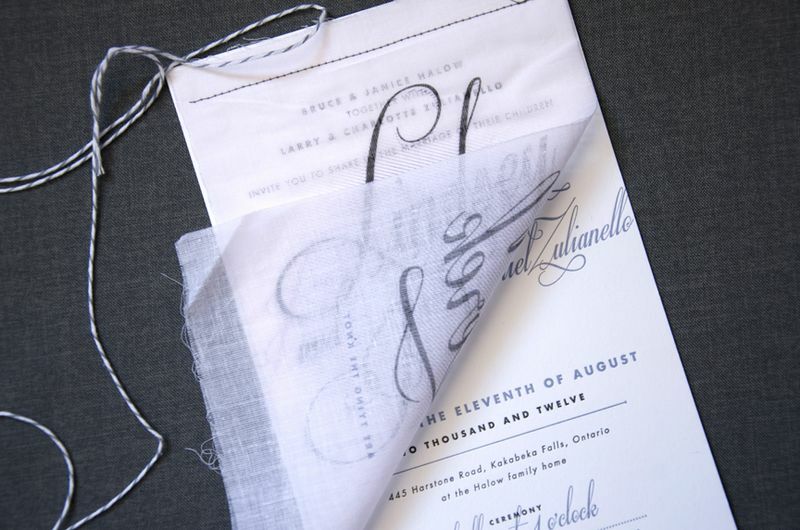 Have you made your own wedding invitations? Comment and tell us! These are gorgeous. Who doesn’t love chevrons! These DIY invites are so innovative. 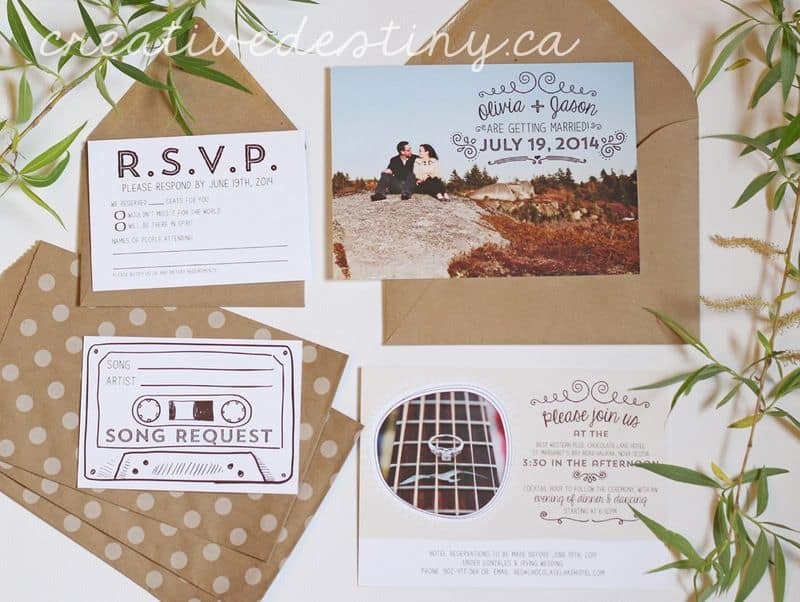 I would like to share one more DIY idea – video invitations. Video invites save both time and money and also looks personalized. I really love them. Some of these projects do seem a little time consuming. I hope that find a cute fonting and style for my sister’s wedding invitations soon. I’m trying to look for different websites that I could design them. « Announcing the Gray, Cream, Cucumber and Peach Top 10!